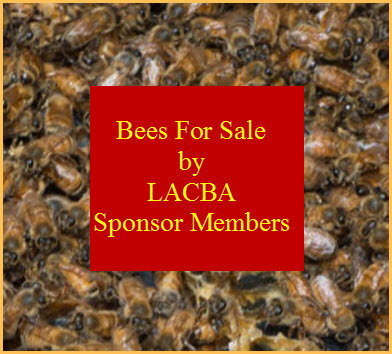 Beekeepers and other agricultural producers can begin signing up for federal disaster assistance programs – some backdated to 2011 – beginning Tuesday, April 15, the U.S. Department of Agriculture announced. Agriculture Secretary Tom Vilsack says the quick implementation of the programs, re-established and strengthened by the 2014 Farm Bill, has been a top priority for USDA. “These programs will provide long-awaited disaster relief for many livestock producers who have endured significant financial hardship from weather-related disasters while the programs were expired and awaiting Congressional action,” Vilsack says. Enrollment begins April 15 for producers with losses covered by the Emergency Assistance for Livestock, Honeybees, and Farm-Raised Fish Program (ELAP) and the Tree Assistance Program (TAP). ELAP assistance is provided for losses not covered by the Livestock Forage Disaster Program (LFP) and the Livestock Indemnity Program (LIP). It was authorized by the 2014 Farm Bill as a permanent program and provides retroactive authority to cover losses that occurred on or after Oct. 1, 2011. TAP gives financial assistance to qualifying orchardists and nursery tree growers to replant or rehabilitate eligible trees, bushes and vines damaged by natural disasters. A total $125,000 annual limitation applies for payments under the LIP, LFP and the ELAP programs. ELAP provides emergency assistance to eligible producers of livestock, honeybees and farm-raised fish for losses due to disease, adverse weather, or other conditions, such as blizzards and wildfires, not covered by LFP and LIP. 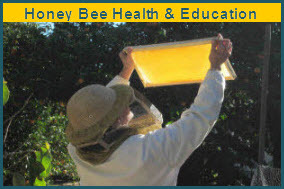 For beekeepers, it covers assistance for honeybee feed, colony and hive losses. Total payments are capped at $20 million in a fiscal year. The Direct and Counter-Cyclical Program and the Average Crop Revenue Election program are repealed and replaced by two new programs – Price Loss Coverage and Agricultural Risk Coverage. The Marketing Assistance Loan program and sugar loans continue mostly unchanged. The Conservation Reserve Program (CRP), USDA’s largest conservation program, continues through 2018 with an annually decreasing enrolled acreage cap. The contract portion of the Grassland Reserve Program enrollment has been merged with CRP. The Biomass Crop Assistance Program is extended and funded at $25 million a year. The Noninsured Crop Disaster Assistance Program has been expanded to include protection at higher coverage levels, similar to buy-up provisions offered under the federal crop insurance program. The Supplemental Revenue Assistance Program (SURE), which covered losses through Sept. 30, 2011, is not reauthorized. The USDA says the changes in the act give the Farm Service Agency (FSA) greater flexibility in determining eligibility including expanded definitions of eligible entities, years of experience for farm ownership loans, and allowing youth loan applicants from urban areas to access loans. FSA’s popular microloan and down payment loan programs, important to furthering the administration’s objective of assisting beginning farmers, have been improved by raising loan limits and emphasizing beginning and socially disadvantaged producers. The act also provides greater enhancements for lenders to participate in the guaranteed conservation loan program and eliminates term limits for the guaranteed operating program, allowing farmers and ranchers the opportunity for continued credit in cases where financial setbacks may have prevented them from obtain­ing commercial credit. Adjusted gross income (AGI) provisions have been simplified and modified. Producers whose average AGI exceeds $900,000 are not eligible to receive payments or benefits from most programs administered by FSA and the Natural Resources Conservation Service. Previous AGI provisions distinguished between farm and non-farm AGI. The total amount of payments received, directly and indirectly, by a person or legal entity (except joint ventures or general partnerships) for Price Loss Coverage, Agricultural Risk Coverage, marketing loan gains, and loan deficiency payments, may not exceed $125,000 a crop year. Enrollment will begin April 15 at all local FSA offices and additional details on the types of information required for an ELAP application will be provided as part of the sign-up. The USDA says to expedite applications, all producers who experienced losses are encouraged to collect records documenting these losses in preparation for the enrollment in these disaster assistance programs. Information on the types of records necessary can be provided by local FSA county offices. Producers also are encouraged to contact their county office ahead of time to schedule an appointment.